Our friend Lydia is an incredibly talented painter, you can check out her work here. She lives in San Diego with her husband, their dog Columbus, Millie the cat and a bunny named Anselm. She is very DIY savvy and cooks up the most delicious meals. Lydia and I met in college and reconnected a few years later when she visited Vienna while I lived there. She is a very dear friend of mine and I love her work! 1. 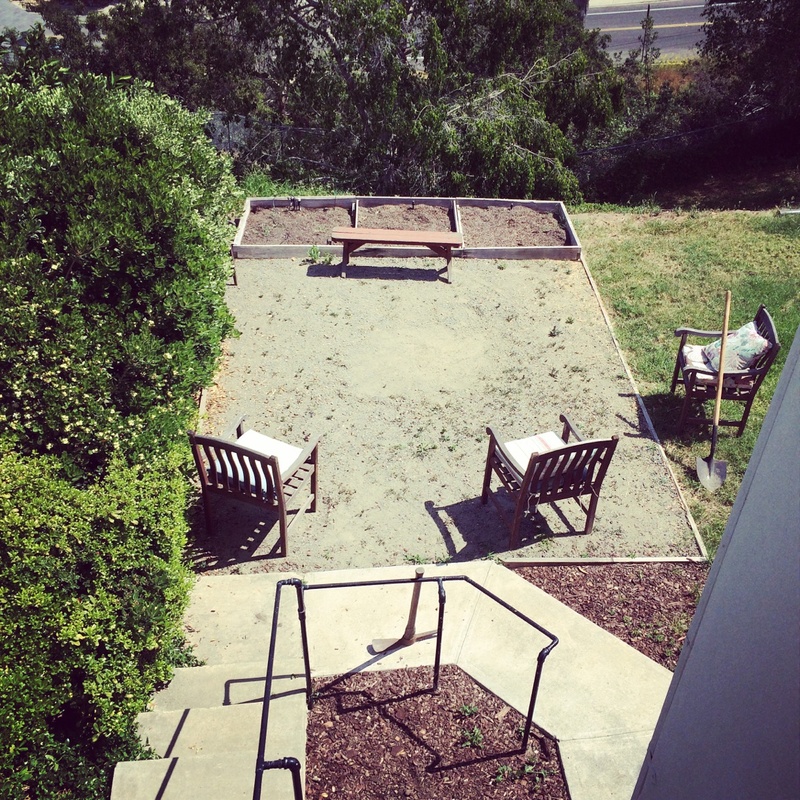 First we picked the perfect spot in our backyard where we wanted the fire pit. 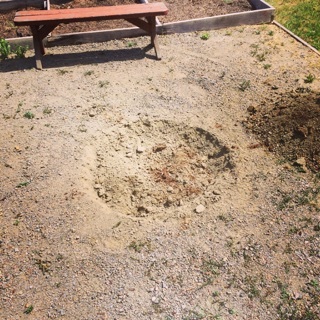 Next, we smoothed away the dirt and rocks to create the imprint of a circle on the ground. 2. 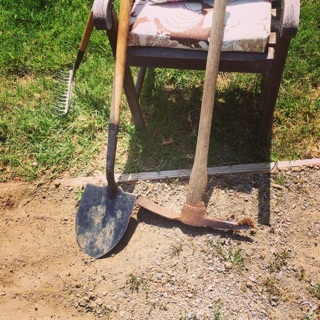 We borrowed a pick ax because the San Diego soil can be quite rocky. 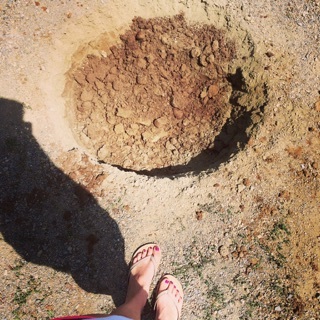 We needed to soften it up with the ax before digging out the hole with the shovel. Once the soil was softened up a bit, we started to dig. 3. We created the diameter we wanted -- about 2 1/2 feet wide. And then took a lunch break. 4. 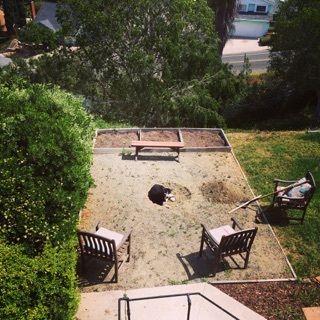 While we were gone, our dog Columbus decided the beginnings of the hole made a perfect bed. Of course, he decided this when he was clean! 5. More digging. 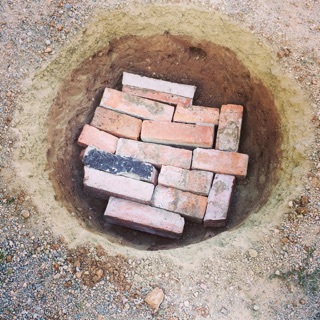 We figured the hole needed to be pretty deep as we would lose space once we lined it. 6. 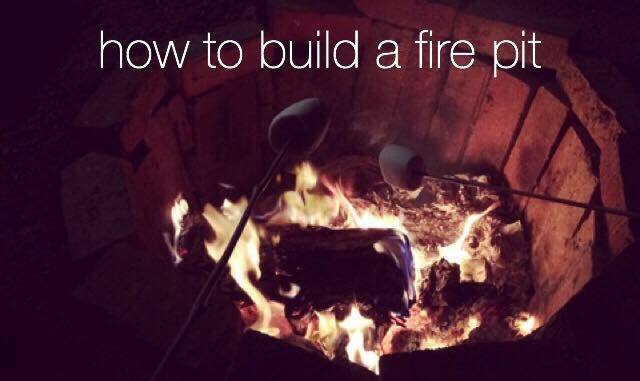 What do you line a fire pit with? Bricks! 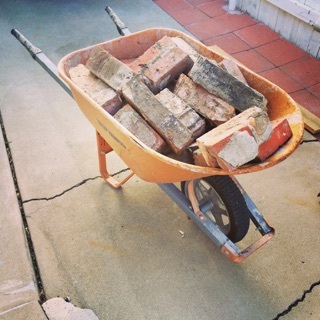 Our neighbors happened to be giving away a load of free bricks so we got lucky as far as materials go. They were all different shapes and sizes, very irregular. We weren't sure if they would work or not until we started lining the hole. 7. It was a lot like a jigsaw puzzle. It's important to try not to leave large spaces, but it does not have to be perfect. 8. 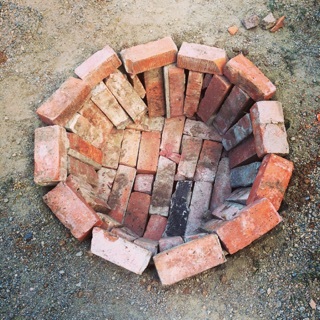 Some of the bricks were longer so we were able to turn them vertically to line the inside of the circle. 9. 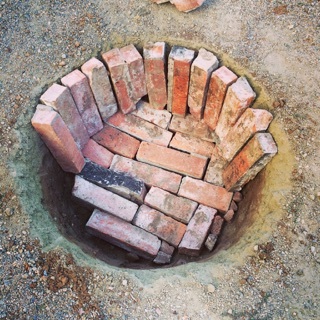 We finished it off with some smaller bricks on top around the opening. The pit ended up being roughly 2 1/2 feet deep. 10. 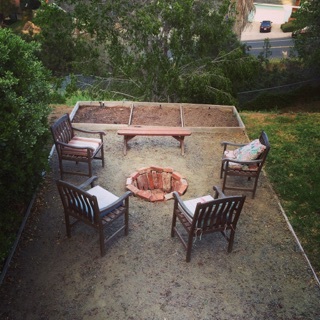 Here's an image of the finished fire pit and hang out spot. Perfect, safe, and ready for bonfires. 11. 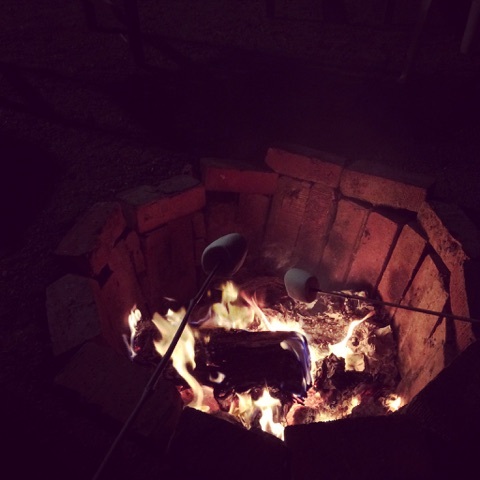 Last step, have your first fire and roast as many marshmallows as you want!